Alright, alright so as requested from a commenter last week who said something along the lines that we needed more bicycling content on the blog I figured Id bring you some. 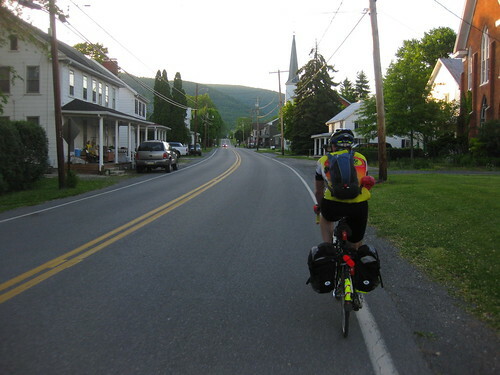 This past weekend I had the pleasure of riding Crush the Commonwealth (CTC) which is described on the site as “A 400 mile challenge to from Philadelphia to Pittsburgh. Just you and your bike. No support, no spectators, no prizes.” Sounds great right? Just show up with a bike and make it happen, nothing more nothing less. To start, let me go back a few months. This idea started brewing when my friend Jamie was looking for rides across Pennsylvania and stumbled upon CTC. We had been talking about it for a bit but after the harsh winter I didn’t get a chance to get any long rides in. Because of this I didn’t think much of it until three weeks ago when we were at my friend Ben’s party and they brought this plan back up. At this point I had the ride in the back of my head but didn’t actually think it was going to happen for two main reason.. one, I commute a good amount but had never done longer than a 50 mile ride at one sitting, and two, I didn’t have a setup to carry what was all needed for this trip. But if you know me then you know I am easily persuaded into doing things. So that night I agreed to the trip and started reading as much as possible about what I needed to get ready. The CTC website doesn’t give many hints but I was able to read on another blog http://lockringnotincluded.blogspot to try to get an idea of what I was getting myself into. 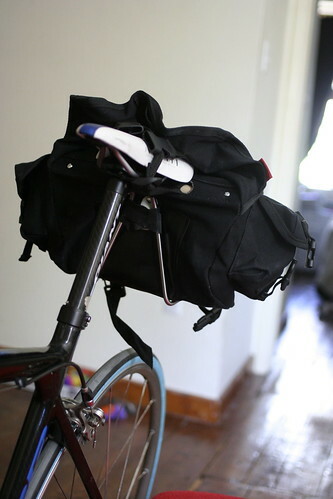 There were many thing I needed to pick up and one was a bag setup to bring extra clothes/food/tools/ect since I didn’t want to wear anything on my back the entire time. Also since I only have one jersey that my friend gave me, I figured it was time to get something new for the trip. 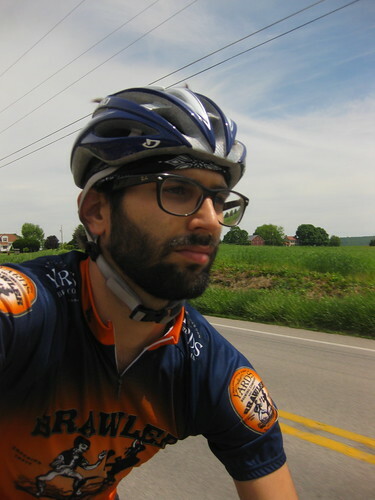 I got in contact with Lara at City Cycling Jerseys who sell jerseys for a few of the local breweries around Philadelphia. As luck would have it her and her husband lived about 2 blocks from our place and they were nice enough to let me try on a few different jersey/cuts. 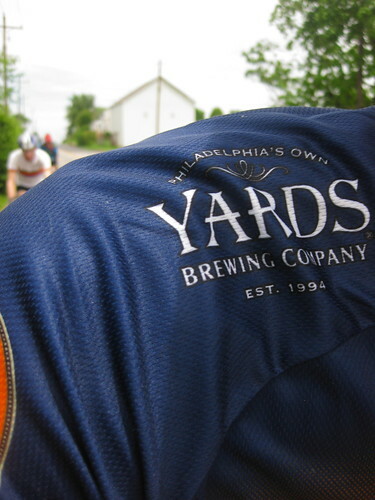 We talked for a while about some rides and I ended up getting the Yards Brewery Brawler jersey. I will definitely be grabbing some more jerseys in time, thanks again! I had worked some overtime so I was able to get out of work early Thursday and got to making food. 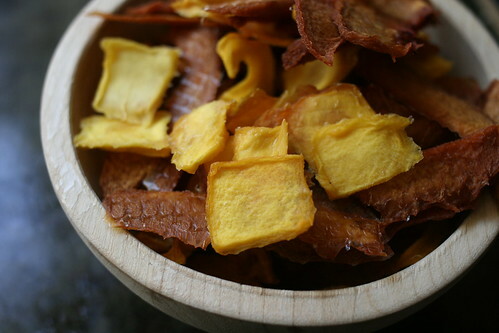 I busted out the dehydrator and started with some frozen fruit (mango, apples, pears, peaches), made some fruit roll-ups, energy bars, and tofu jerky. I had never made fruit roll-up type of things before but they turned out excellent. I made two batches, one was mango/peach, and the other was a berry mix. I used frozen fruit and placed them in warm water to soften them up. Then placed the fruit, some water, and lemon juice into the blender, poured it onto the non-stick sheets and that was it. I think they took about ~8hrs at 115F in the dehydrator. 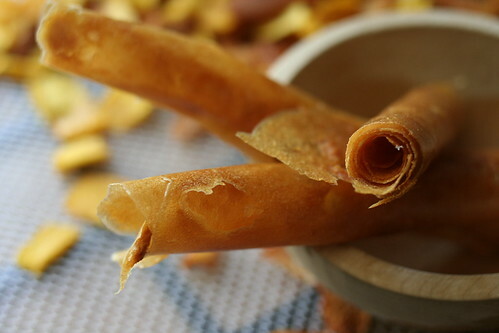 The mango/peach fruit rollups were exactly like I remembered them, refreshing, sweet, and tart. I also made two different bars, one was a oatmeal based energy bar with goji berries/chocolate chips and the other was a quinoa based banana bread type of thing that I kinda hucked. (Note: There was a banana in our fridge, yes… But only because Lauren was given at the end of the Broad St. run and I was told I had to get out of the fridge asap, first and last time a banana will be in our fridge? Yep.) After the food was done I started packing and seeing how everything fit. It ended up working out pretty well. The night before I threw on the new tires, finished up double checking everything and tried to get a good meal in my system. I had plans of going to bed early but probably didn’t get to bed until ~10pm, at which time I woke back up ~1am and couldn’t get back to bed. During this time I read some more ultra cycling tips on the internet. I got back in bed and tried to lay down and finally got back up at 4am to get rolling. I made myself a fruit smoothie and got geared up. At 4:30 my friends Jamie and Ben showed up at my place and we were ready to go. We threw a few more things in my saddle bag and headed to the Liberty Bell (the start). When we arrived we saw one or two others. We all got talking and we were asking about years before and what to expect. Others trickled in and by 5:10 am we were all there and ready to go. There were a total of 13 people and of which 11 had plans of doing the entire route to Pittsburgh, the other two were riding to Morgantown then doing a beer tour. 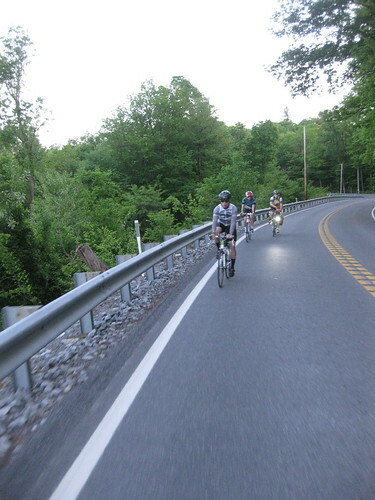 We started with a neutral start in which we all cruised together until we hit the Schuylkill trail. 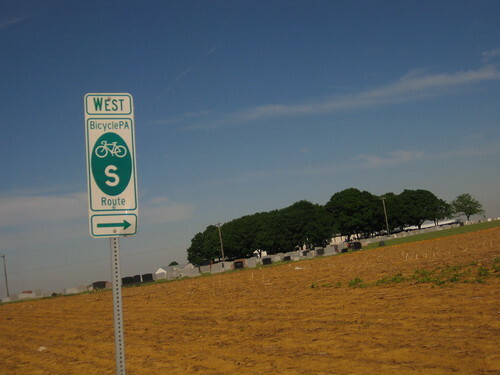 The plan was to take bike route S west for most of the trip which ended up being labeled much better than I expected with turn by turn directions and signs after the turn to let you know you were still on the right roads. We were doing well and making good time along the way. It didn’t feel like were were really going to Pittsburgh at this point since the area was still fairly familiar. 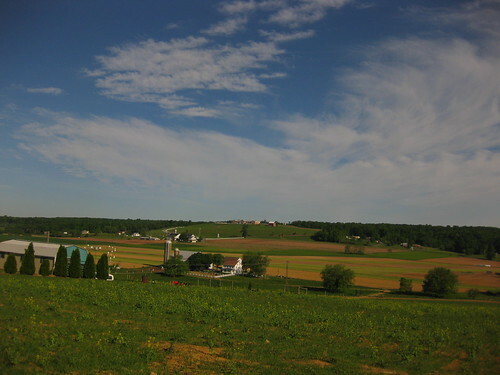 Everything was going smooth and we were cursing throughout the scenic rolling hills of Amish country. Leaving the rolling hills of the Lancaster for the city. As we hit the city of Lancaster I ran into the first mechanical. I heard a loud burst and find out my brand new tire split its sidewall. Luckily we were really close to a bike shop were we saw two others Michael and Mark who were buying a whole new wheel. 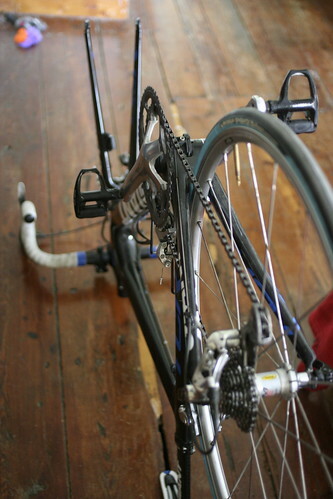 I ended up buying a new tire/tube and we got back on the road without too much hassle. When we finally made it to York it was around lunch and were getting hungry. 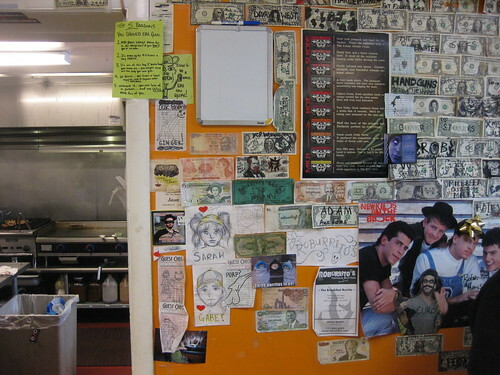 We stopped at Roburritos and pulled our bikes inside. 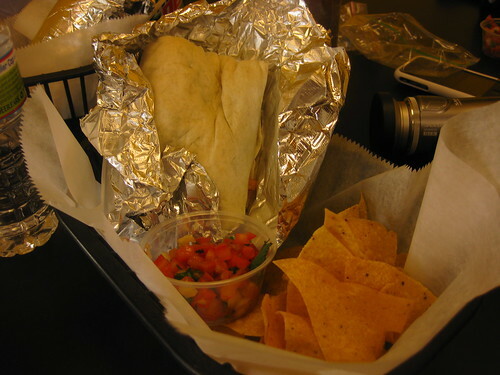 They offered giant vegan potato burrito with beans, rice, guacamole, and pico with chips. It hit the spot but was a bit lethargic afterward. Probably not the best idea to eat but hey, what can you do. After lunch we got back in the groove and eventually ran into Dan who was from Pittsburgh and had riden CTC two times before. We talked a bunch and cruised along. We ran into a few randoms along the way. 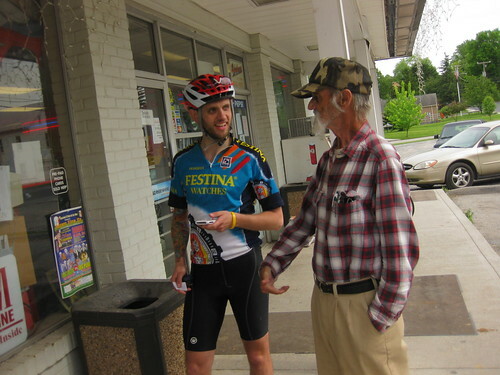 One was Austin who was talkative older gentleman we met at a gas station. Everyone along the way was really nice and wished us luck on our journey. 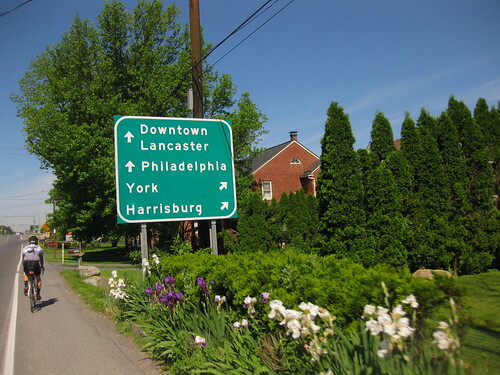 We had originally been thinking of staying in Chambersburg (~170 miles) but after talking to a few people we realized everyone else seemed to be going to at least Breezewood (~200 miles) if not farther the first night so that became our plan. A few scenic rolling hills along the way. It was a long road to Chambersburg and Jamie was hurting. He had been sick the entire week before but still came out to ride Friday morning (somehow). There was a few times I thought he was going to call it quits earlier in the day but he kept trucking. Time starts to meld together here for me so I’m sorry about that, but at some point we met up with Jim. Jim was also from Pittsburgh and was very helpful along the way. 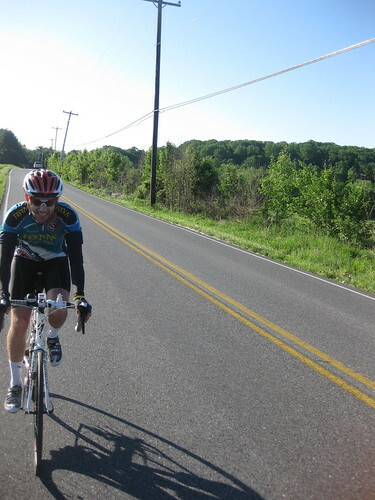 We eventually made it through Chambersburg and to some more long climbs. It was later that night and dark when Ben got a flat and we ended up loosing Jim. After changing the tube under some lights we found we continued on. 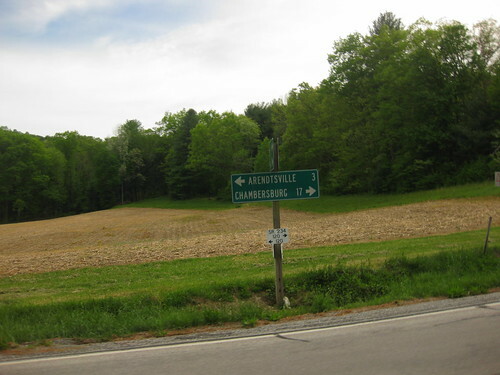 There is a point in the bicycle route S between Chambersburg and Breezewood near the town of Hustontown that you can travel on a portion of the abandoned turnpike. It use to be the South Pennsylvania Rail Line that was never fully completed. The turnpike eventually bought it but was later abandoned in the late 1950s because traffic congestion due to only one lane each way. This route will save you from a few climbs since you travel through two tunnels roughly 1 to 1.5 miles long respectively along the way. Its actually kinda of interesting, google has the trail shown in green on the bicycle map but it won’t let you make it part of your route, maybe a legality issue since its “abandoned?” We had stopped for a bit to go over the map to make sure we knew how to find this abandoned turn pike. 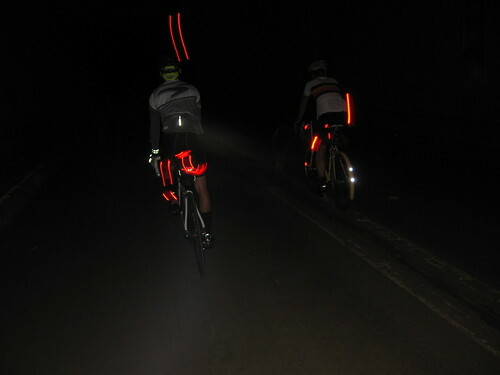 As we started heading out we saw a bike light coming towards us and saw Dan again. Now know where we were going we grouped up with Dan and continued to the abandoned turnpike section. Being on a road bike with 23 tires, at night, with mediocre lights at best made it kinda rough since the pavement was, well terrible. I had heard it was in poor condition but it was worse than I was expecting. I suspect the tunnels are pretty daunting during the day when you see a dark abyss in front of you, but when its about 12 at night and everything pitch dark it was a pleasure due to the smoother pavement. It can be hard to stay on your toes and focus on staying out of potholes/gravel late at night when your mind starts to wonder. The turnpike ends and dumps you out right before Breezewood, a trucker stop right off of the actual turnpike. We ended up staying at the Howard Johnson there and went in search of food. It was probably ~1am at this point and the “24 hour” truck stop had little options since most of the restaurants inside were closed. We ended up walking in cleats down to the Sheetz to get a bite. I ordered a sandwich and pretzel and dominated that as fast as I could. 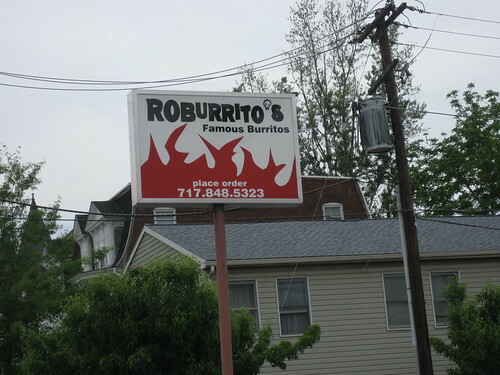 This was the start to my digestive problems along the way… which would come back to haunt me later. My body doesn’t do too well with processed food these days. We walked back to the hotel where we put on the weather channel on which called for colder weather, rain throughout the day, wind… lots of wind, and even a chance of hail/snow… I opted out of a shower and instead iced my bad knee and stretched to get ready for the next day. Day one was coming to a close around 1:30-2am with 200 miles finished and I had no idea how I was going to be feeling the next day but was hoping the body, mind, and weather would all hold up for the next day. Day 2/Post report tomorrow. Stay tuned.